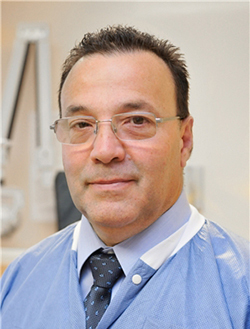 Dr. Guerrero received his DDS degrees from La Universidad del Valle, Cali, Colombia, and the NYU College of Dentistry in New York City. Dr. Guerrero established his practice in 1991 and has been practicing general/family dentistry including restorative and cosmetic dentistry since then. Dr. Guerrero is always committed to providing the best care possible for his patients; that's the reason why he attends several continuing education seminars per year, and has taken multiple courses in endodontics, implants, prosthodontics, oral surgery, laser dentistry and more.